At Ignition Driving School we believe that you should learn to drive in the way that suits your style best. Some pupils prefer to do several driving lessons each week or do an intensive driving course, where up to 20 hours’ worth of driving lessons are done over a week and a driving test taken at the end of it, but that may not be the right path for you to take. The important thing when learning to drive is to make sure your driving lessons are consistent and regular, as cramming driving lessons in then having long breaks before starting again is not an effective way to learn. So it is much more effective, and you will retain more information, if you take just one driving lesson a week, each week until you are ready for your driving test. 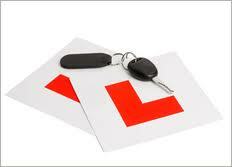 We offer one hour, 1½ hour and 2 hour driving lessons. We believe that the maximum duration someone can concentrate for is 2 hours. If you wish to take more than 2 hours a day then you need to make sure that you have sufficient breaks in between e.g. a 2 hour driving lesson in the morning, followed by a break, then a 2 hour driving lesson in the afternoon, followed by a break, with a final 2 hour driving lesson in the evening.